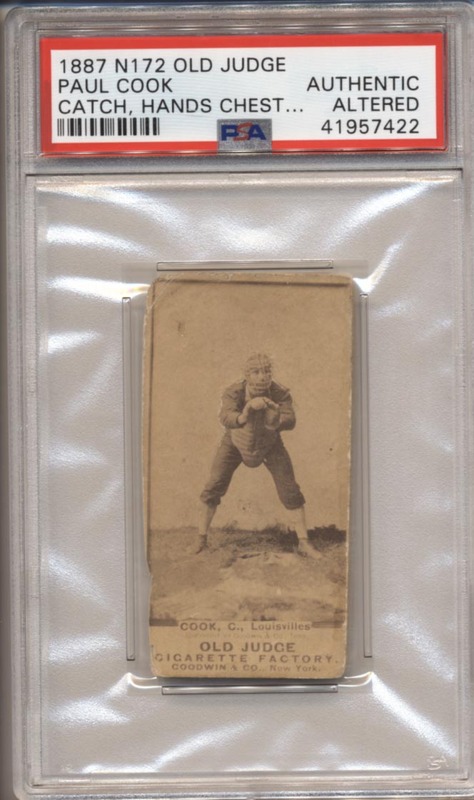 Scarce Louisville card, this card has serious condition issues. Possibly rebacked, this has a very awkward cut and some fine lines around the image, possibly an effort to use it in a project. Still the card is far from ugly, the image still presents reasonably well.